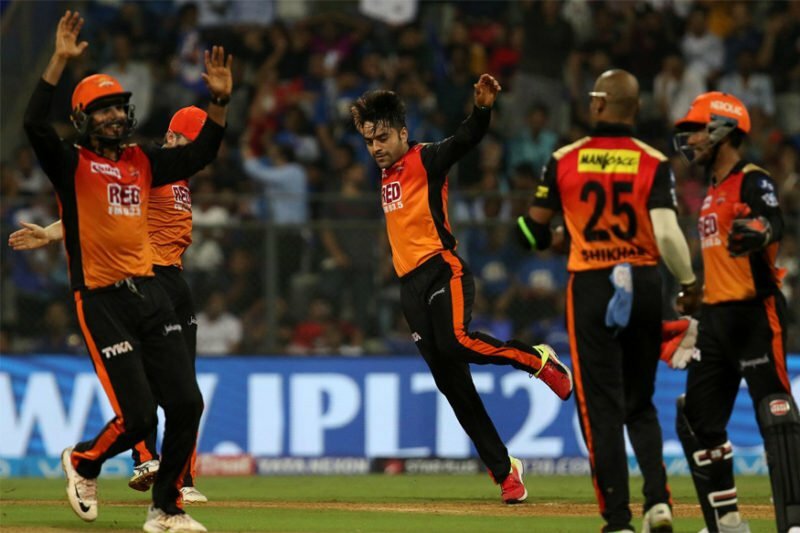 During the IPL auctions in January this year, when Sunrisers Hyderabad bought leg-spinner Rashid Khan (through RTM) for a whopping 9 Cr, that just showed the team management had unwavering faith in his abilities. The 19-year-old too did not disappoint and kept on churning out performances that made the difference in this year’s IPL. Come the Qualifier 2 against Kolkata Knight Riders at Eden Gardens on Friday, Rashid gave a glimpse of how single-handedly he can change the game with his bowling, and batting too. In the match SRH posted a decent total of 174, which was largely due to Rashid’s late cameo of 34 runs that came from 10 balls. His innings included four sixes and two boundaries. Then later he returned with match figures of 3/19 to take Hyderabad to a 14-run win. This all-round show meant that Rashid joined the elite company of all-rounders who have a unique distinction of scoring 30+ runs and bagging 3+ wickets in IPL playoff/ knockout matches. The other players to do so are Shane Watson, who while playing for Rajasthan Royals scored 52 runs from 29 balls and picked 3/10 against Delhi Daredevils in the 2008 semifinals. In the same year Yusuf Pathan achieved a similar feat for RR against Chennai Super Kings, that too in the final. Pathan bagged 3/22, and scored 56 runs. The last instance came when Mumbai Indian’s Keiron Pollard decimated Royal Challengers Bangalore in 2010 semis. He scored a whirlwind 33 from 13 balls and picked up 3/17 in his four overs. As far as Friday’s match is concerned, Rashid made a few more records. His strike-rate of 340 is the highest-ever for a SRH batsmen (min. 25 runs). After this victory SRH have a Herculean task of facing CSK in the final at the Wankhede Stadium on Sunday. A lot will depend how Rashid performs in the match. He also holds a chance to bag the Purple Cap in the competition as he has 21 wickets from 16 games, and is behind Kings XI Punjab’s Andrew Tye who has 24 wickets.